eCycle Solutions, an Ontario-based electronics recycling and information technology asset disposition (ITAD) provider, prides itself on ensuring that when a customer’s electronics enter its facilities, they are recycled in a way that ensures data security, worker health and safety, and the protection of the environment. 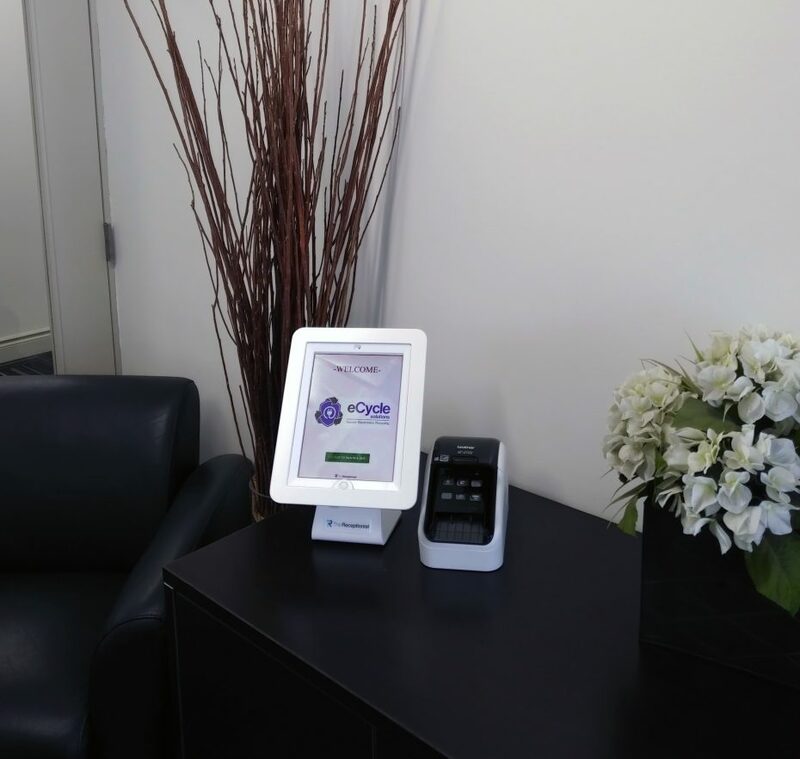 Company leaders work to adhere to strict regulatory compliance guidelines to uphold this promise to their customers, employees and business partners; in late 2017, they implemented The Receptionist for iPad to help exceed these standards when it came to managing visitor and contractor check-ins to their facility. HR Business Partner Meetu Sandhu says that prior to seeking out a visitor management solution, the company’s visitor and contractor check-in process was basic and not very helpful, especially when it came to ensuring the privacy of its visitors. After considering several different visitor management software solutions, company leaders opted to implement The Receptionist for iPad. “We liked that we could purchase the hardware outright and that the software ran on an iPad,” Sandhu says. “The system met our needs since it allowed us to print visitor ID badges and add our own forms to the system for visitors to read and sign off on compliance, security and safety requirements. With The Receptionist for iPad now in place, Ferguson says he believes the system has helped place eCycle Solutions in a position to not only impress its visitors, but to also help make sure the company upholds its safety, security and compliance standards.